The series consists of correspondence and account books of the Central Coal Company, Ltd., 1951-1963. 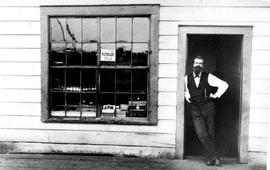 J. Tamblyn, watchmaker and jeweler; Nanaimo. Orders, invoices, records of material distribution; inventories, inter-departmental correspondence, letters outward, letters inward and completed orders.